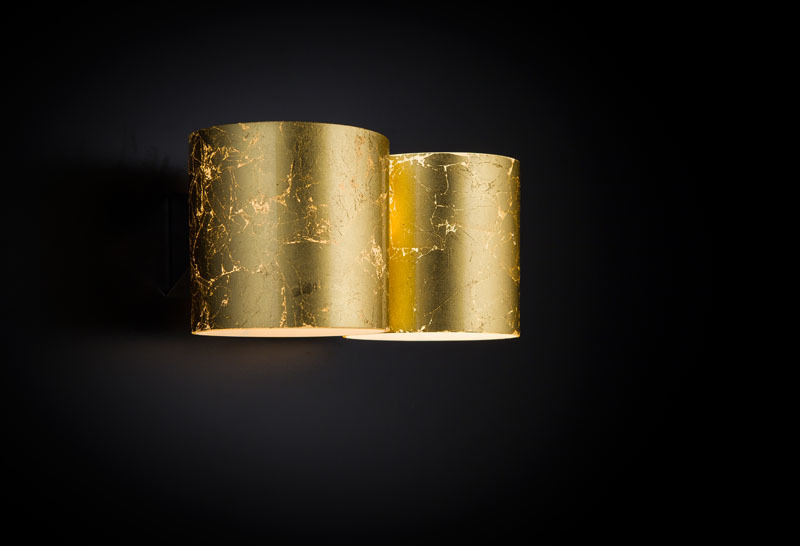 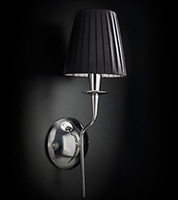 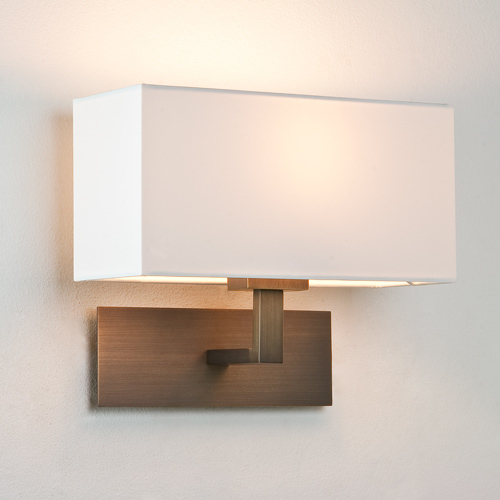 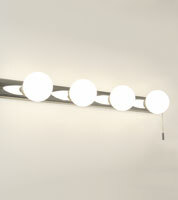 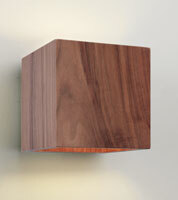 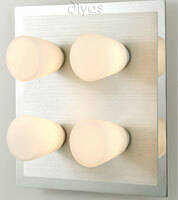 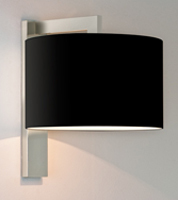 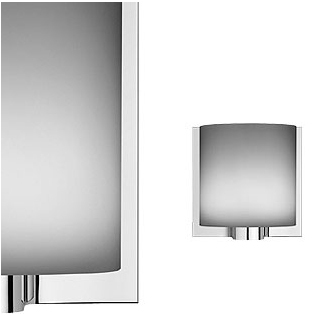 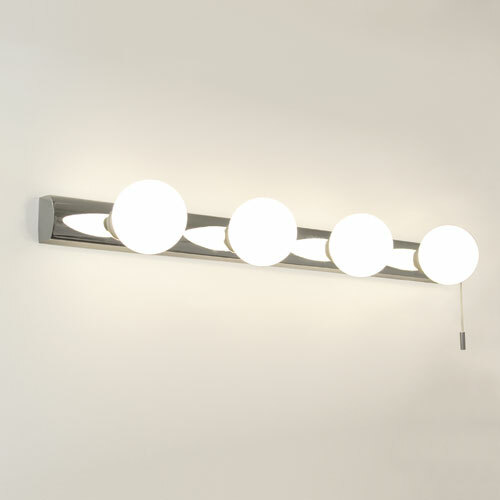 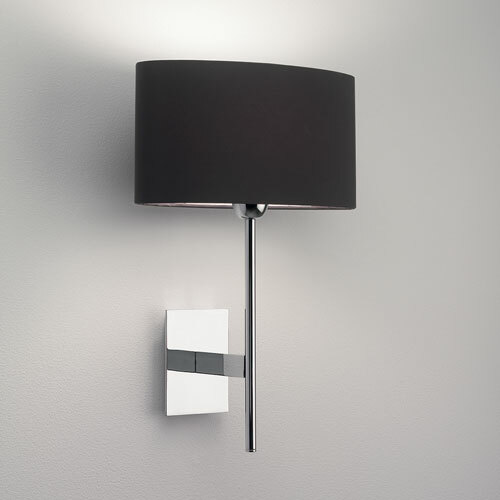 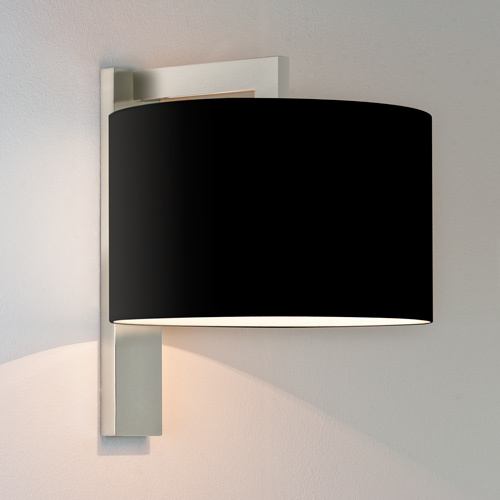 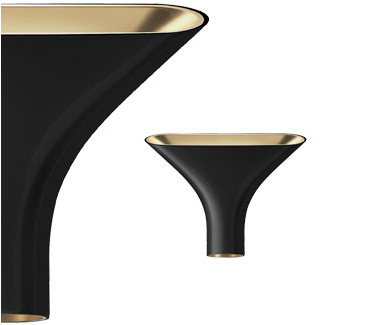 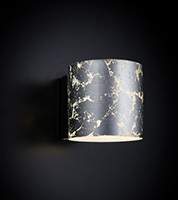 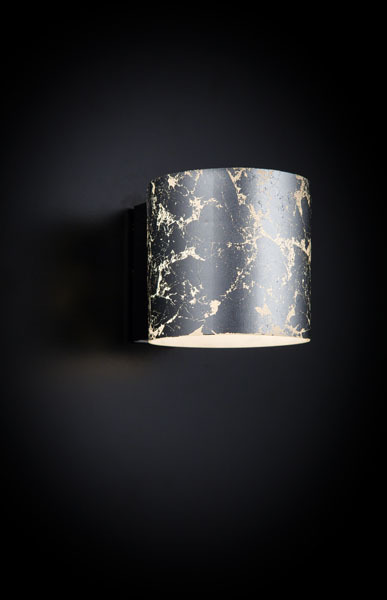 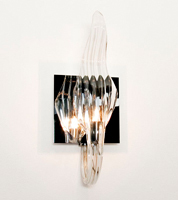 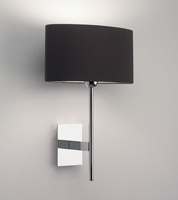 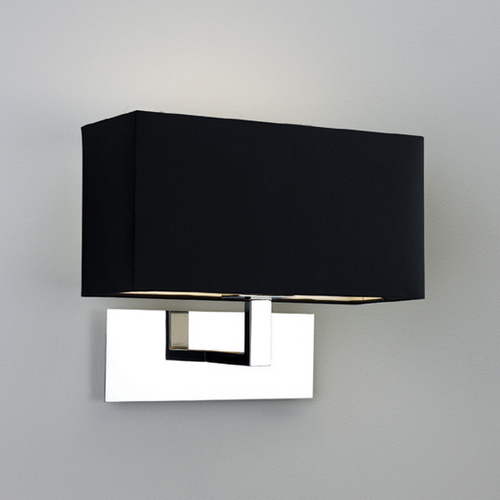 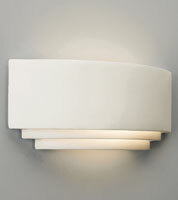 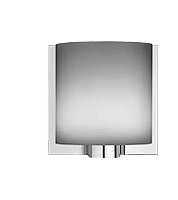 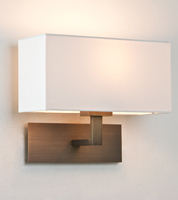 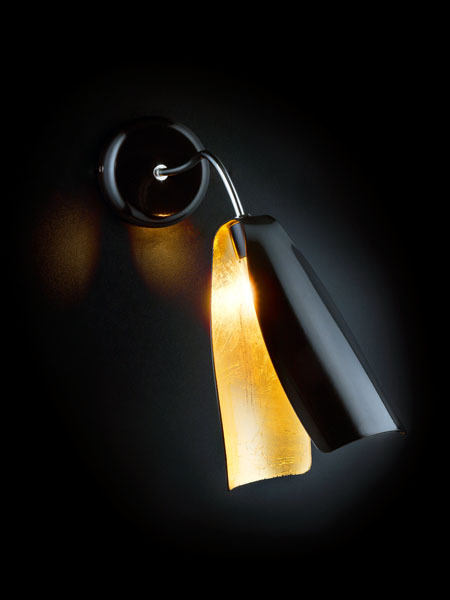 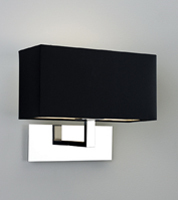 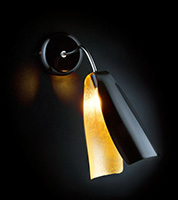 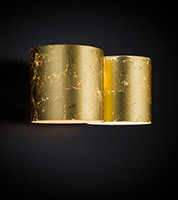 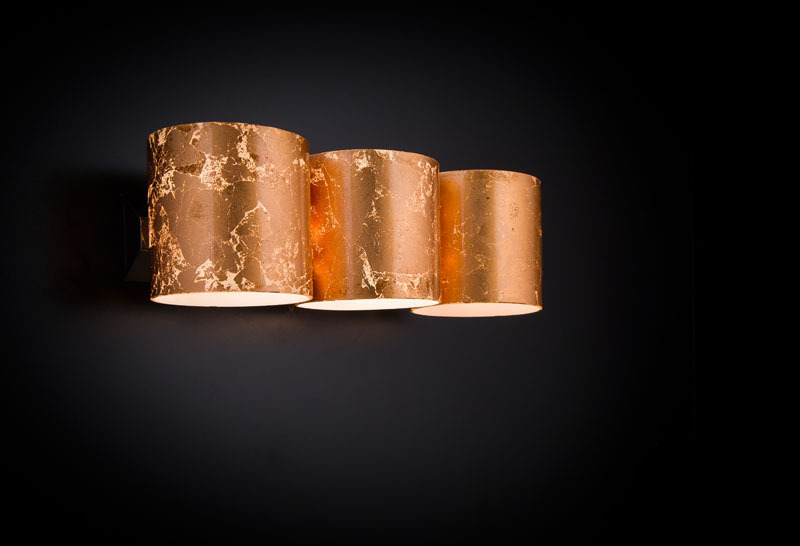 Angelos Lighting sell a stunning range modern wall lights from our north London lighting showroom. 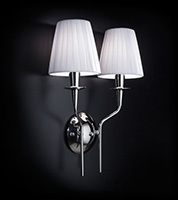 A one stop-shop for wall lights, our vast selection includes modern wall lights, contemporary wall lights, Victorian, Edwardian, Venetian and period lighting. 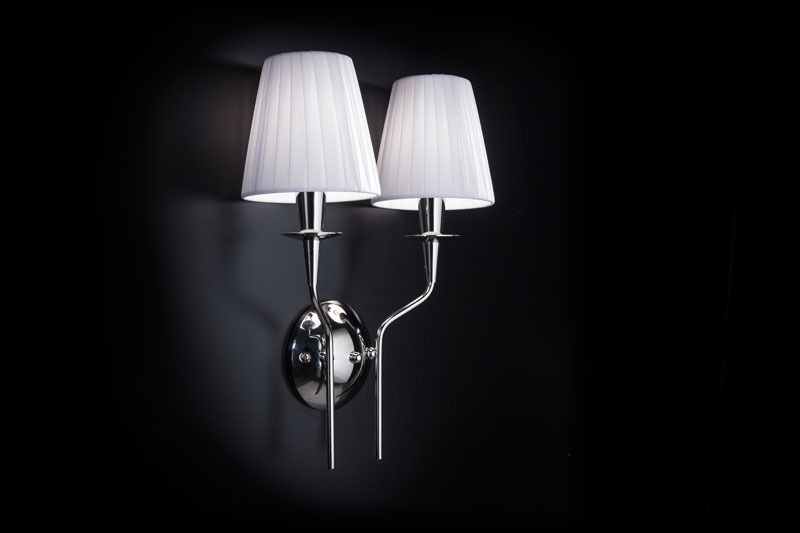 We have lighting to add warmth and ambience to every room of the home and sell an extensive range of wall lights for London offices, businesses and hotels. 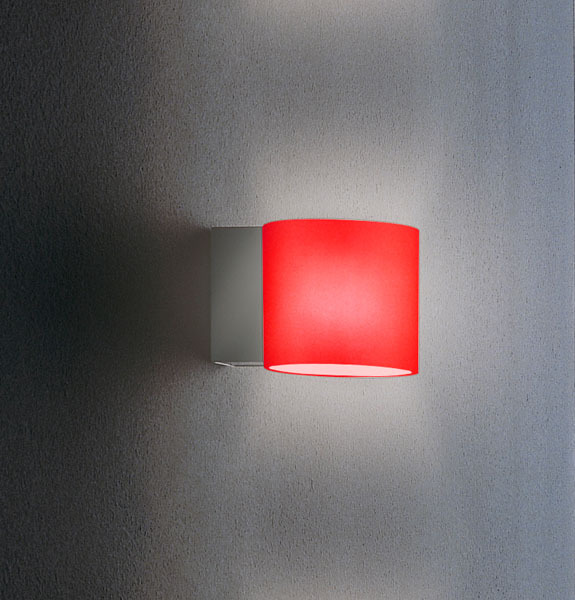 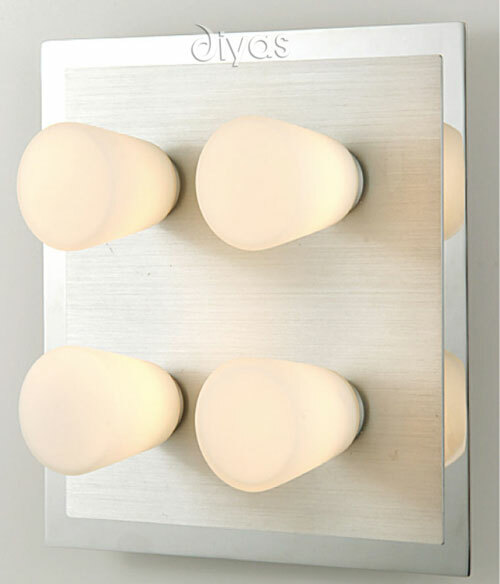 Our modern wall lights will brighten any interior including hallways, bedrooms, stairways, kitchens, sitting rooms, dining rooms and home offices. 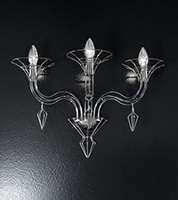 Use wall lights to draw attention to cherished artwork, or furniture, or to act as a focal point. 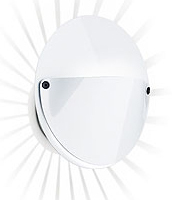 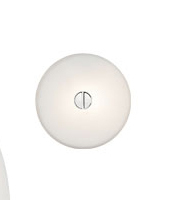 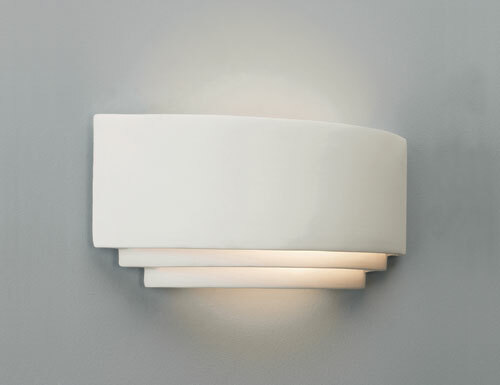 Wall lights can also illuminate outside areas such as porches and patios. 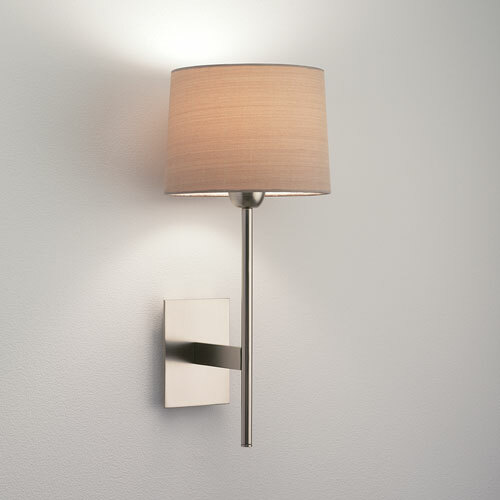 Available in all shapes and sizes from leading lighting designers, our modern wall lights will create atmosphere and enhance your existing décor. 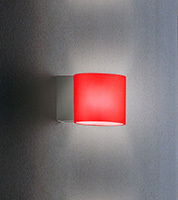 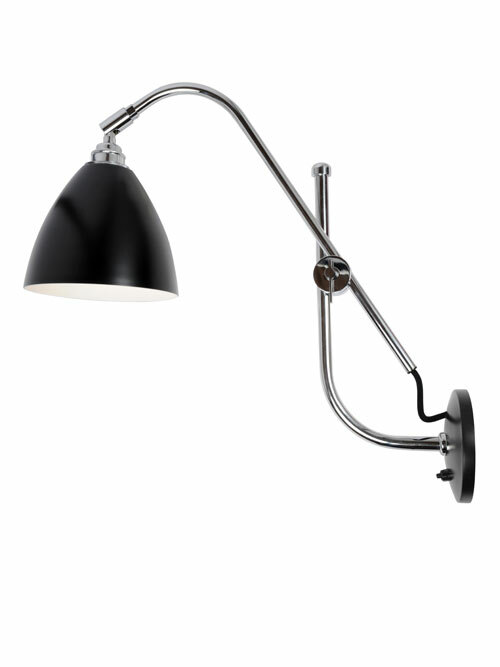 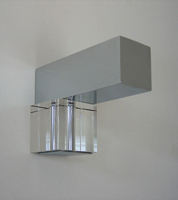 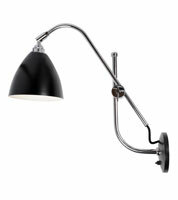 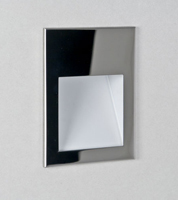 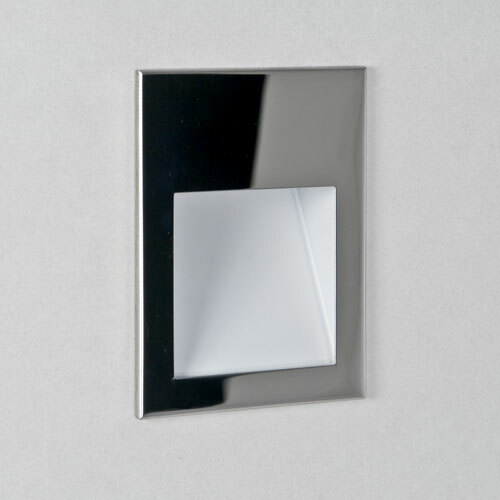 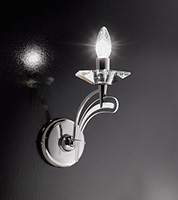 Whatever your style of home, whether it is traditional or contemporary, we have wall lights to suit. 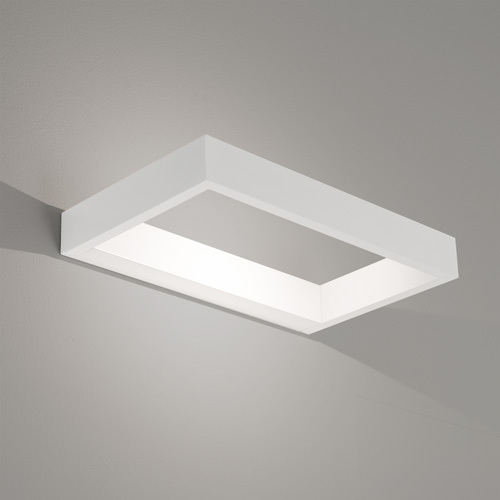 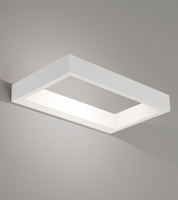 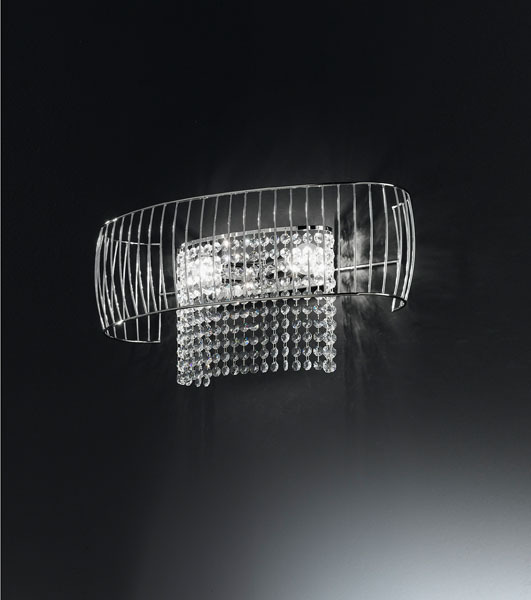 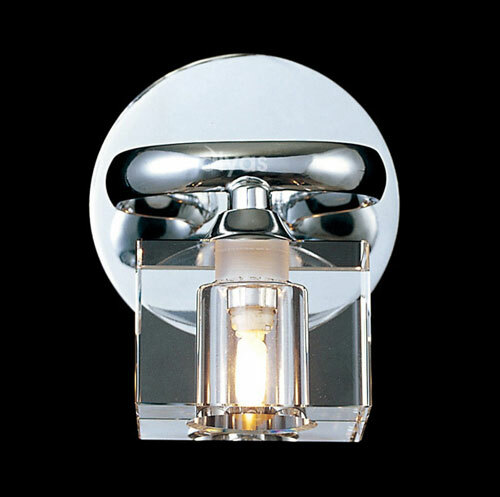 Angelos Lighting in North London offer a comprehensive range of lighting products at very competitive prices. 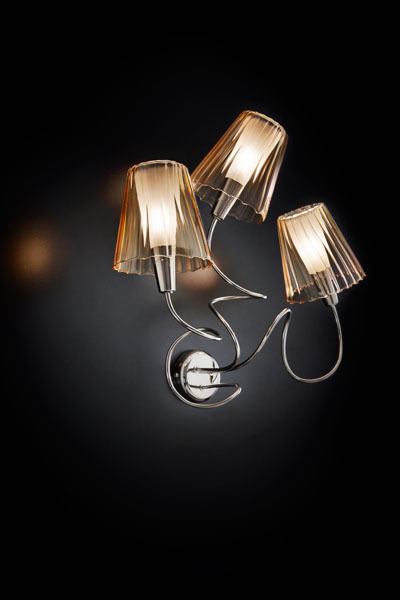 You can see a small part of our extensive selection here, however visit our showroom in N8 for thousands more lighting ideas which are certain to delight and inspire you. 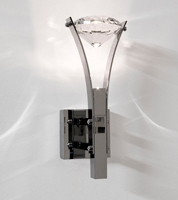 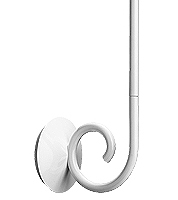 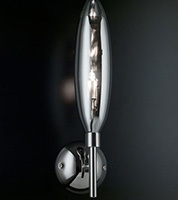 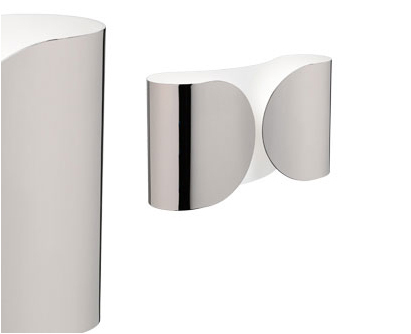 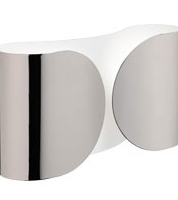 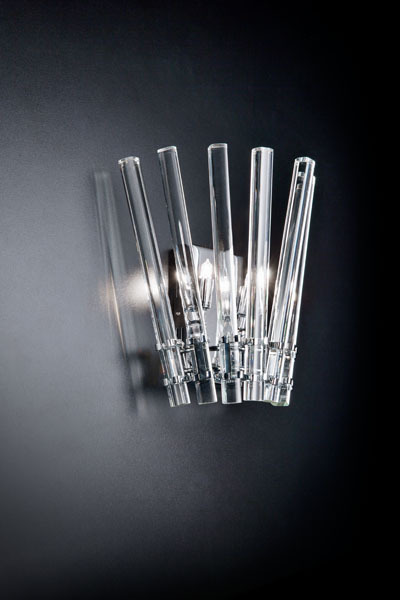 Modern Wall Lights London - click here for details on finding our showroom. 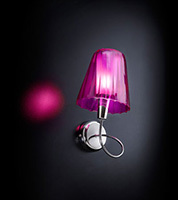 Lighting can also be bought over the phone. 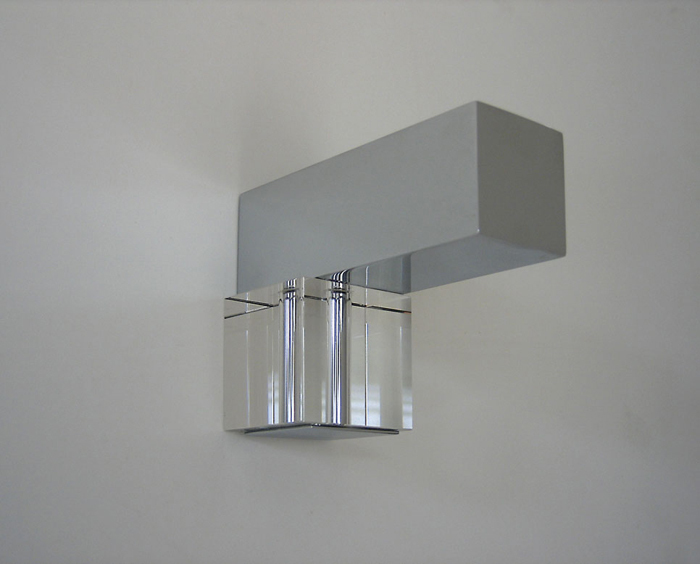 Call us now on 020 8482 2688 to discuss your requirements. 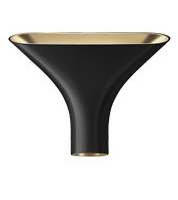 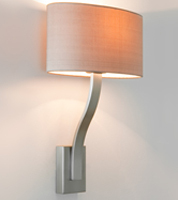 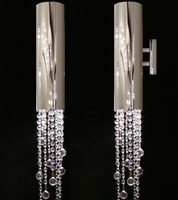 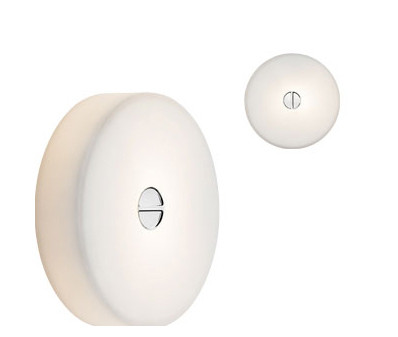 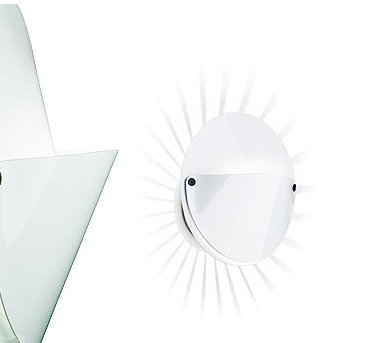 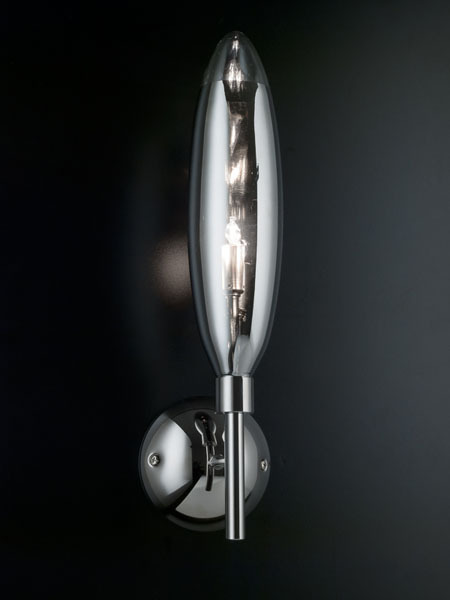 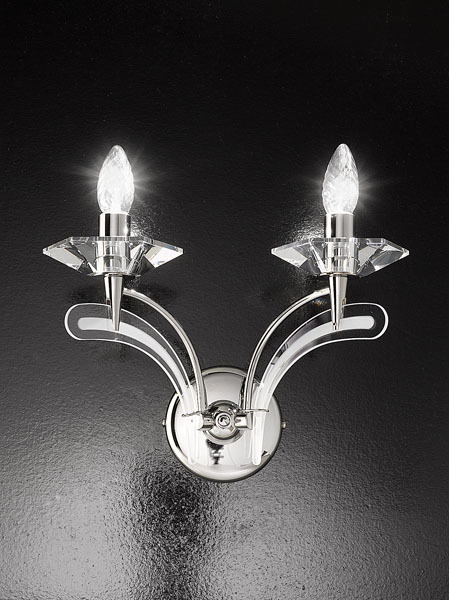 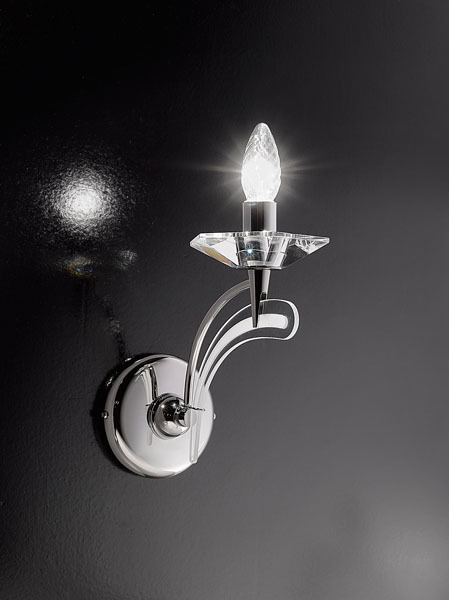 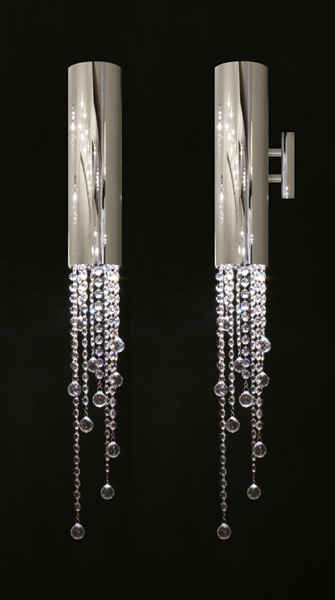 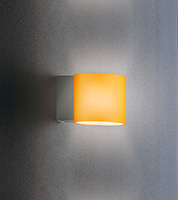 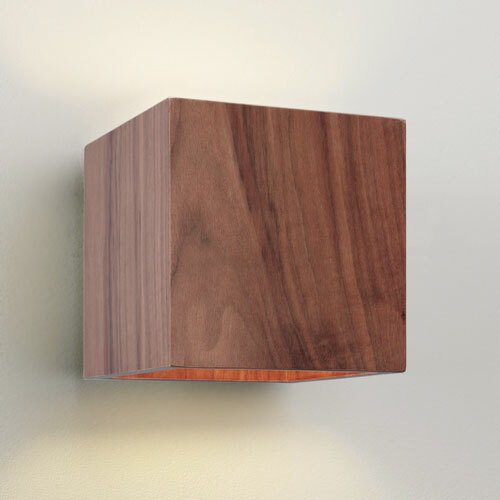 Modern wall lights look striking and elegant in all areas of the home. 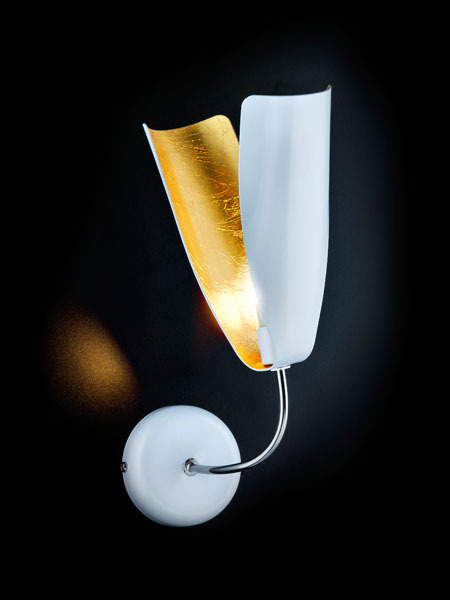 We have an excellent range of wall lights in chrome, glass, steel, wood, acrylic and brass to enhance mood and enrich your surroundings. 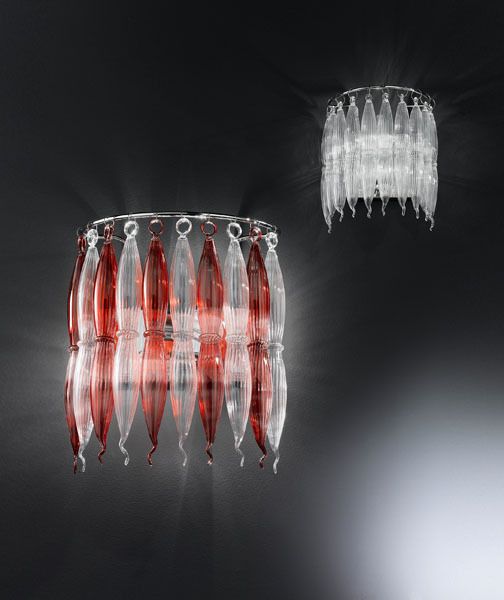 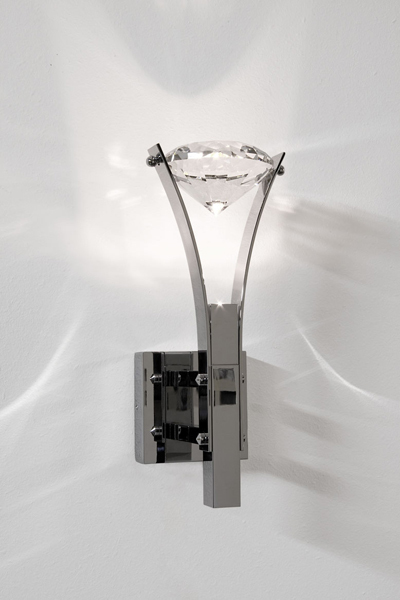 Our selection includes simple and minimalist designs or more elaborate styles such as crystal drop lighting, which can act as a work of art in its own right. 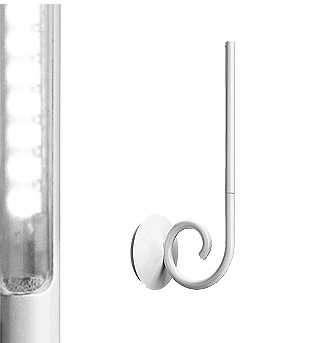 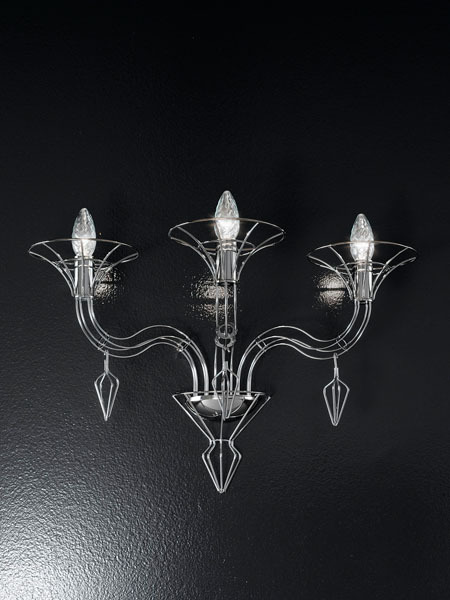 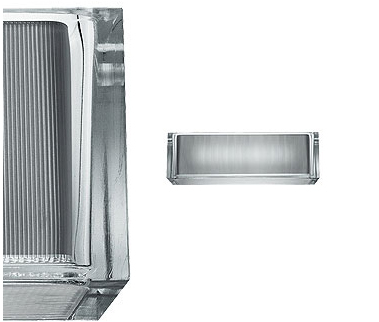 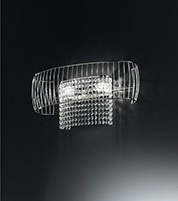 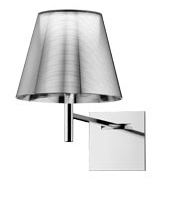 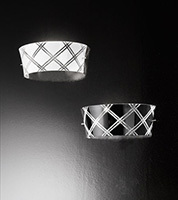 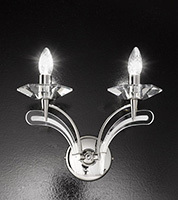 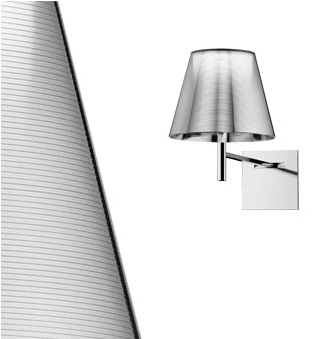 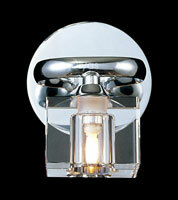 We have lighting to suit home styles including modern and traditional wall lighting. Our range includes clear glass, monochrome designs as well as lighting in a wide variety of colours to accommodate all types of décor. 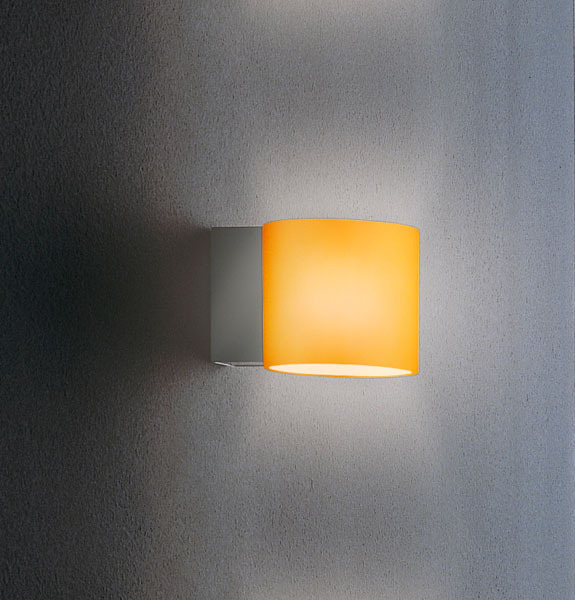 Wall lighting helps set the mood in the more sociable areas of the home by creating a warm, inviting glow which will create a relaxed environment and put guests at ease. 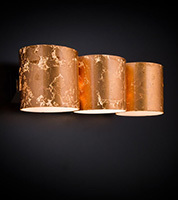 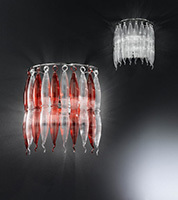 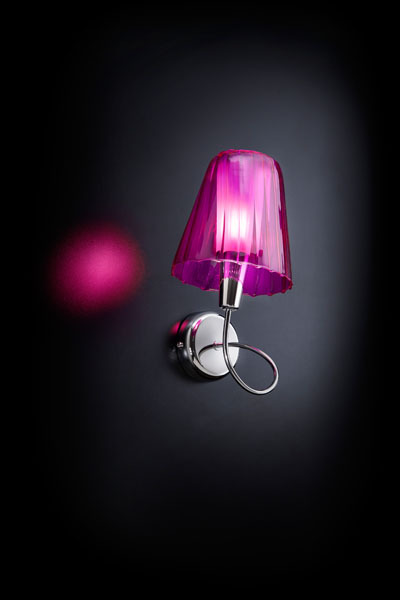 It should be used as part of your overall lighting scheme, with matching pendant or ceiling lights and table lamps. 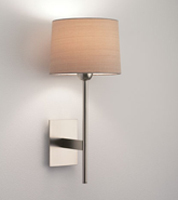 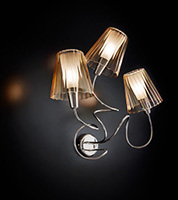 Wall lighting can soften the look of a room and create intimacy in the sitting room, dining room and the bedroom. 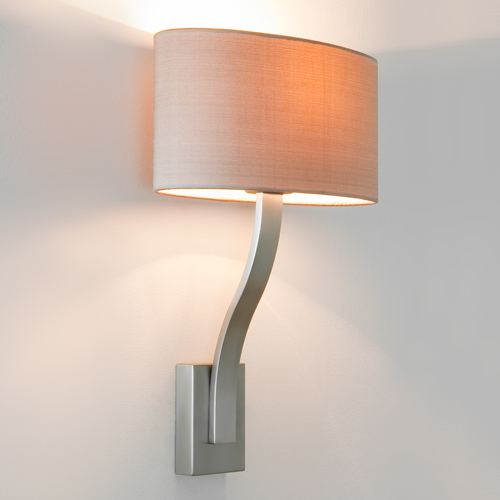 Whatever style of home you have, modern wall lights will add versatility to the room, providing different lighting options for different moods. 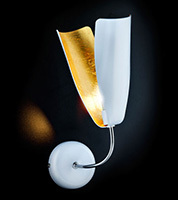 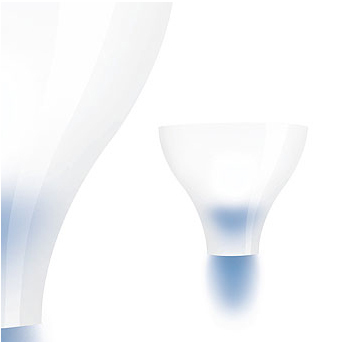 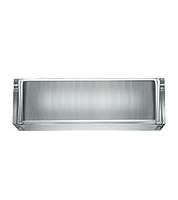 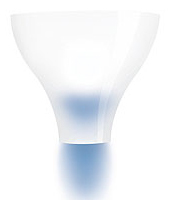 Angelos Lighting has one of the largest stocks of internal and external lighting at competitive prices. 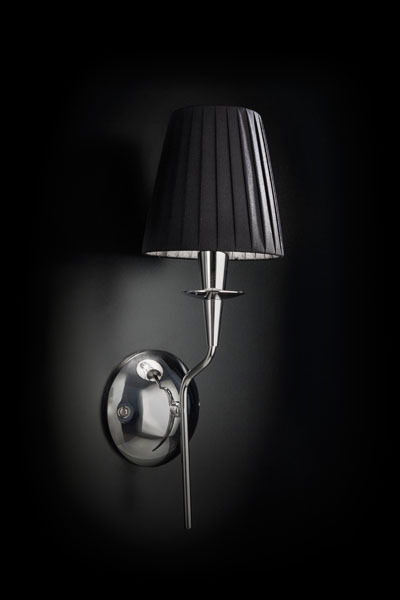 Visit us in our north London showroom on the corner of Turnpike Lane and Wightman Road or call us on 0208 4822688 for more information. 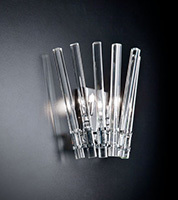 All lights can be purchased over the phone and we can order in lights from a wide range of designers.